I’ll admit it, I was struggling to find a second story that would “light the Jojo fire” — especially after THE Ira Glass expressed his dislike for one of my pitches. Once the mortification wore off, I went online to look for other ideas. Turns out the Martha’s Vineyard Museum had a “Lost and Found” exhibition, and a walking tour, to showcase iconic island structures. I was completely sold on the Oak Bluffs walking tour because of all the towns featured, it was the flashiest one. I only had a few days before the event took place, so I immediately went to see the exhibition, asked the museum for permission to record the two-hour walk, and set-up an appointment to interview the establishment’s librarian, Bow Van Riper. There was a little bit of background noise in the place where Bow and I had the interview, including a clock that was ticking loudly in the background, but I still managed to get decent tape after moving the clock away. I was really impressed by how much Bow knew about the Vineyard, and how much he enjoyed the island and its history. Prior to the Oak Bluffs walking tour, I had never used a dead cat mic. I was testing it out the night before the big day, and broke a small but important piece of the mic. I was so stressed and conflicted about ringing Rob at night to break the news. In the end, I opted to send him pictures via email and figured out how to use the mic with the help of Mitch (one of the stars of the class). Early the next morning, Rob and I spoke on the phone, I took a deep breath and waited for the walking tour to start. I regret not asking Bow to speak more about how the iconic buildings there directly related to African Americans living in Oak Bluffs. I was too busy trying to monitor the equipment — especially because it was a windy day — to engage on tape as much as I could have. I’m glad I did this story because I had the opportunity to use equipment I’d never handled before, visit a part of Martha’s Vineyard I hadn’t experienced, and actually learn something new about the area. I’m very grateful to Rob, Leila and my lovely friends at Transom who gave me feedback and encouraged me in between bites of Lays chips. I found Ashley at a cookie store in Hyannis. I was not planning to interview anyone at the establishment — I just wanted a snack and a time-out. After speaking to Ashley for a while, I realized she would be a good person to engage with about Hyannis on tape. She did not disappoint! 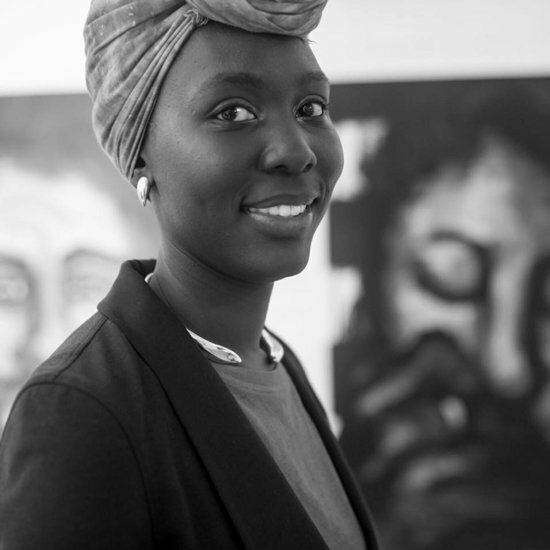 Josephine is a Kenyan-born arts & culture journalist, with an interest in telling stories about Africa and the diaspora.